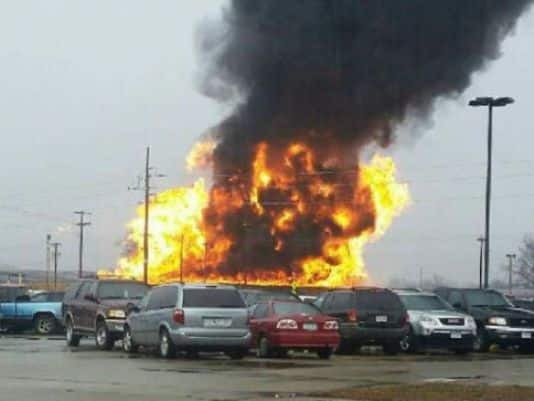 The fire that damaged the JBS pork plant in Marshalltown, IA, was unintentional, but caused when workers ignited a pressure relief torch to burn off excess gas, officials said. There were no injuries in the Jan. 23 blaze, which took firefighters about three hours to extinguish and reads like a chain of events that led to the massive blaze. It all started, fire officials said, when staffers ignited a pressure relief torch to burn off excess gas. Then some debris in the area ended up on fire as well, and embers dropped and ignited gas venting around a manhole cover. The flames eventually reached gas in the methane lagoon. When the crews arrived on the scene they had to put out a large flammable gas-fed fire at the methane collection lagoon. Together with JBS staff, fire crews isolated the plant from the collection system to prevent any gas exposure to the facility. Damage in the blaze is around $500,000, officials said.